Somerset House is currently hosting the Valentino Master of Couture exhibit until the 3rd of March. I am deeply saddened that I am not currently in London and have no plans to be so before then. The exhibit will focus on Valentino's work in couture, displaying over 130 garments that were worn by Fashion figures such as Jackie O and Sophia Loren. The presentation also features a collection of personal correspondence, photographs, and original sketches. I love the idea of Valentino being a collector, preserving as much of his distinguished career for posterity as he can. I love that he has kept so many pieces of his memories and that he is sharing them with the world. This exhibit also got me thinking about VALENTINO THE LAST EMPEROR, a documentary filmed covering the two years prior to Valentino's exit from his namesake company. 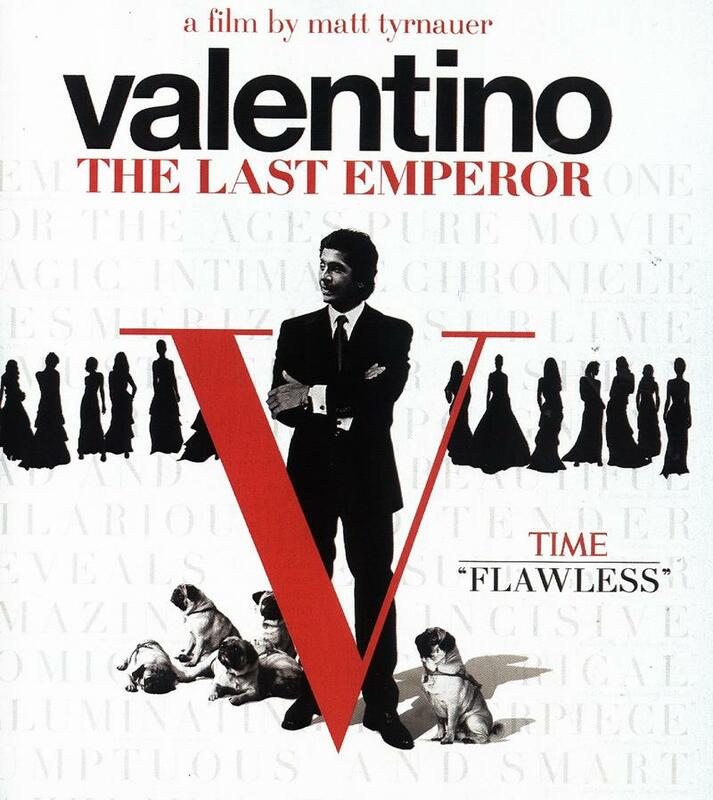 If you are a Valentino fan and haven't seen this film, shame on you. GO BUY IT NOW! The Fashion in the film is stunning and shows an in depth view into his life and work, but what I enjoyed most is the endearing relationship between Valentino and Giancarlo Giammetti. A companionship that has spanned more than 50 years. The business of Fashion can sometimes be a treacherous, turbulent sea. It often can not be navigated alone. It is clear beyond a doubt that Giammetti is the mast that guides them home.